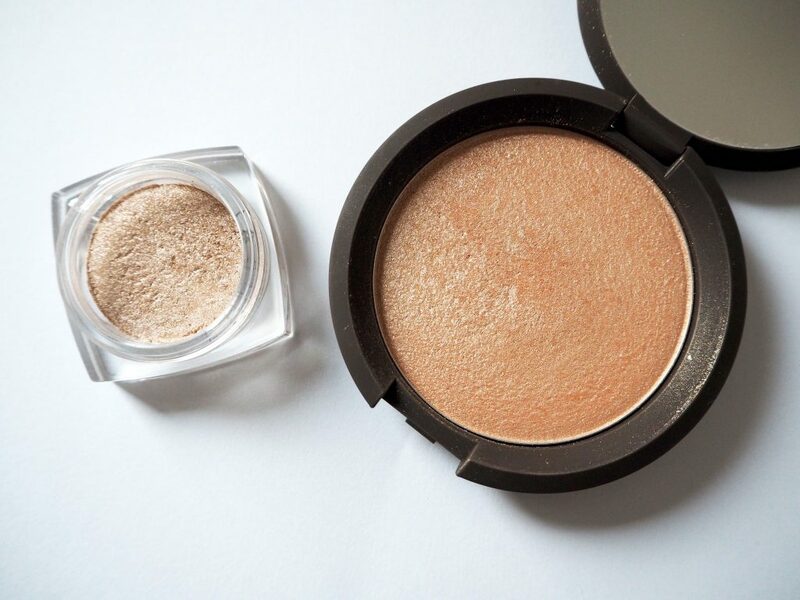 The pigmentation of Champagne Pop is just perfect; a lovely warm champagne glow that compliments every skin tone. 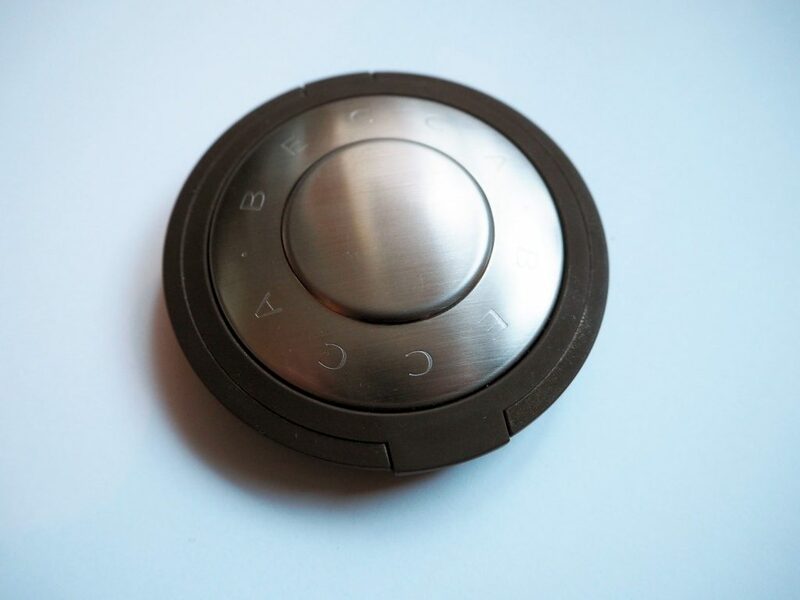 It applies like a dream, and can be lightly applied for a subtle glow, or built up for a brilliant gleam. 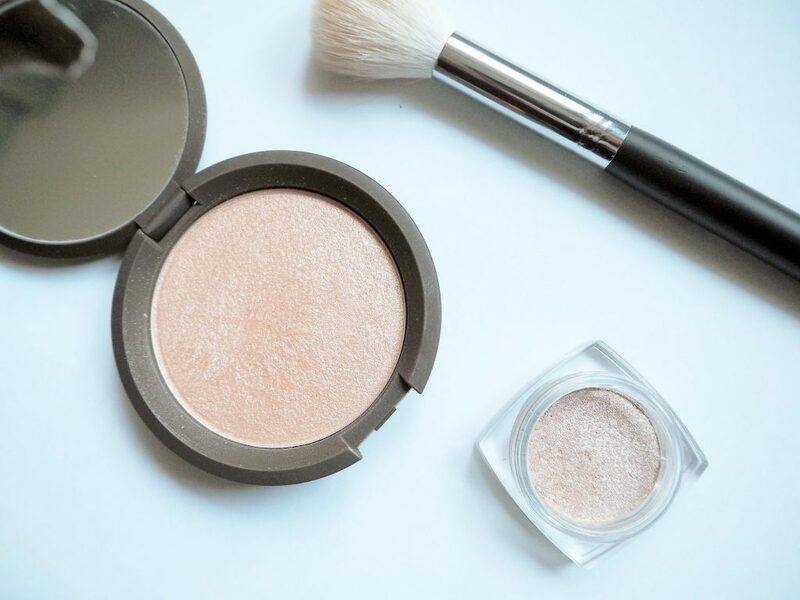 I personally am a lover of a good highlight, so I like to apply quite a generous shimmer to my cheeks, nose and cupids bow. In my recent makeup adventures, I came across the L’oreal infallible eyeshadows. I had heard that the colour 002 Hourglass Beige was a really similar shade to Champagne Pop, so I just had to get my hands on one. 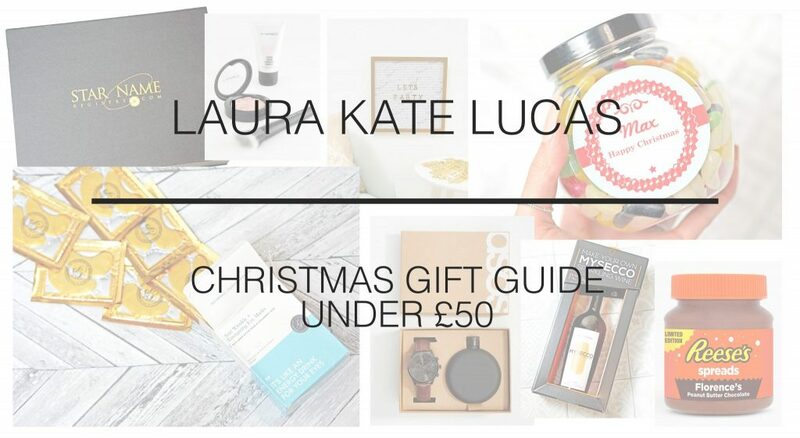 Despite this product not being available anymore on the high street, I managed to find them super easily online and purchased mine for the bargain price of £2.65, and it arrived in my post box just days later. In comparison, the colour of Hourglass Beige is indeed very similar to champagne pop, a lovely warm golden colour but without being too deep and bronzy. 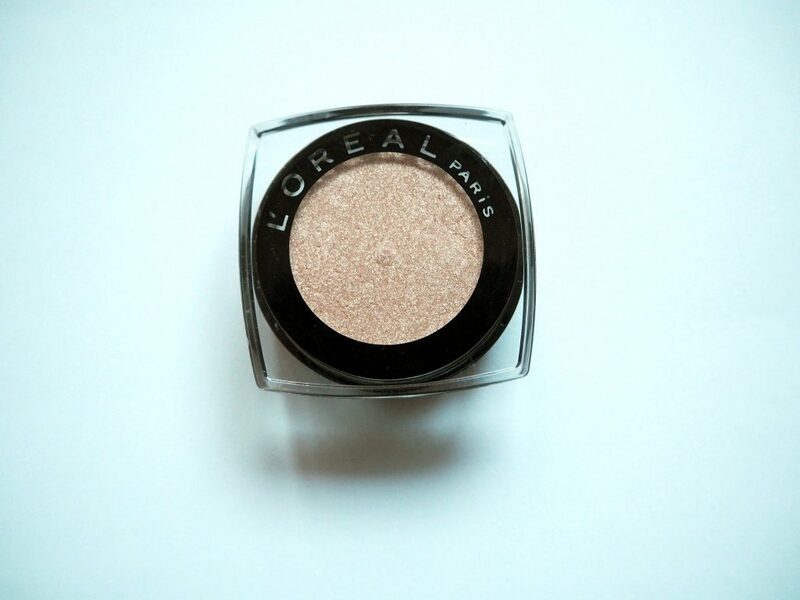 The L’oreal gives great colour pay-off and I love the fact that it is both water and smudge resistant. 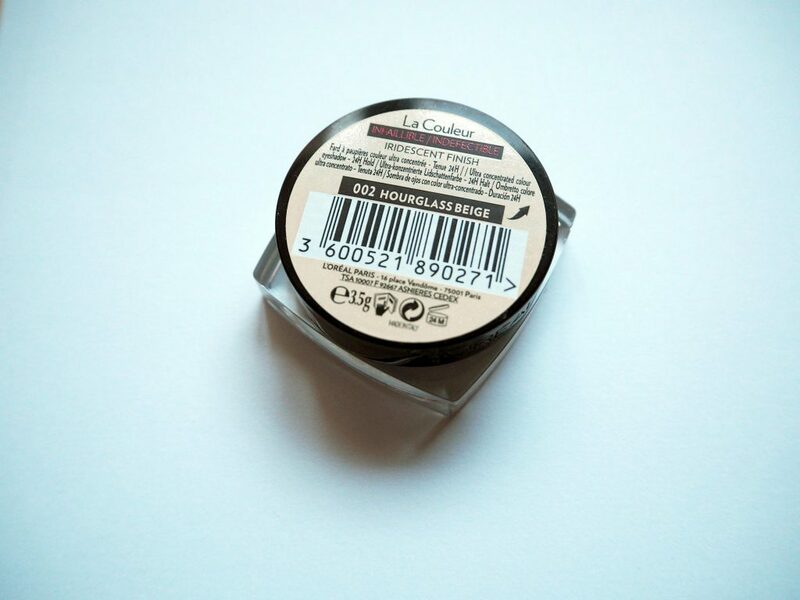 The formula is almost like a combination of powder and cream, and is as it claims – highly pigmented. The main difference is in the shimmer and glitter particles. 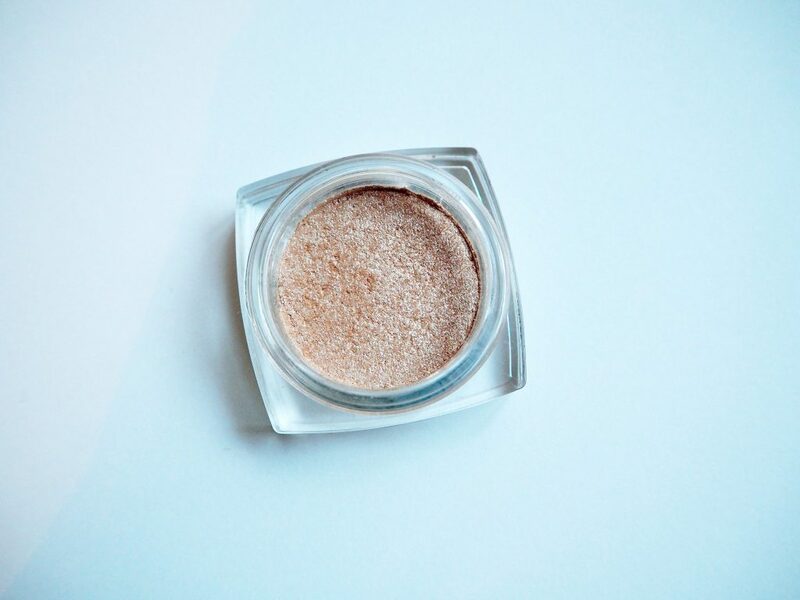 In Champagne Pop, there is no glitter as such, the product just leaves a great shimmer when you sweep it on. Hourglass Beige on the other hand is shimmery but also contains glitter particles, which aren’t quite as subtle as just a shimmer. The formula has a very golden look to it, but once applied it can have a very silver sheen (especially in the light), so I tend to apply this very lightly to avoid silver cheekbones! The glitter in Hourglass Beige is quite fine and isn’t too in your face, and I will happily wear this as a highlighter as well as a shadow, but as you can see it does come out more silver than Champagne Pop. 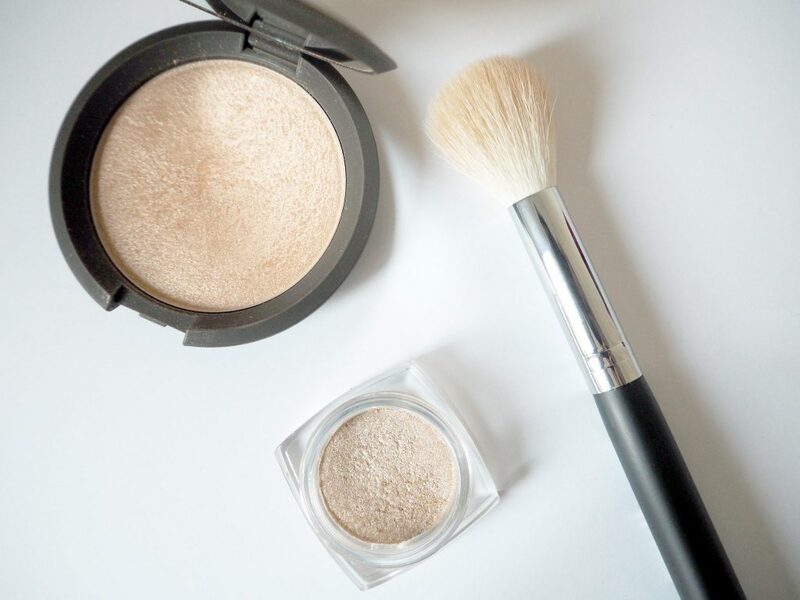 I would say Champagne Pop has a more powdery formula which applies as a sheer glow and is easily buildable. Hourglass Beige apples more like a cream meaning you must be a little more careful when applying. 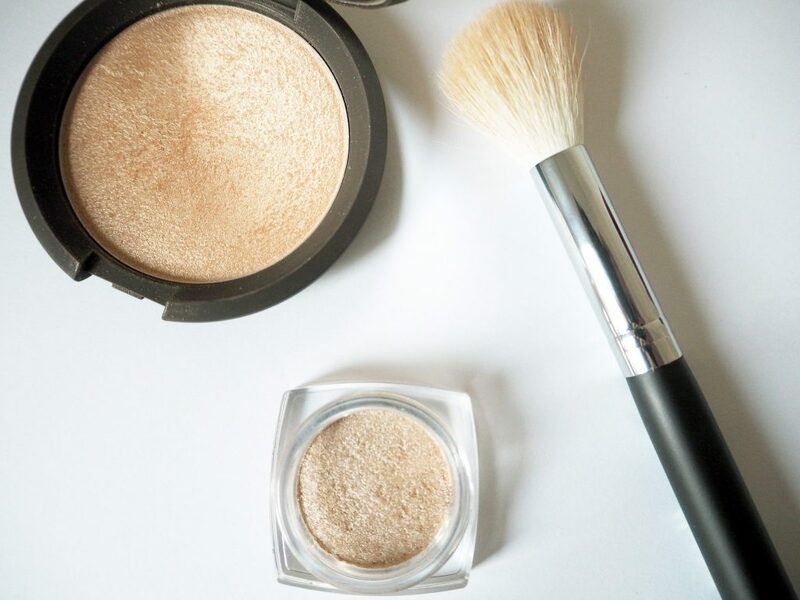 It is super pigmented so you don’t need too much product on your brush to achieve a sheer highlight, and it can be quite easy to end up with a silver smear on your face if you don’t apply it lightly enough. 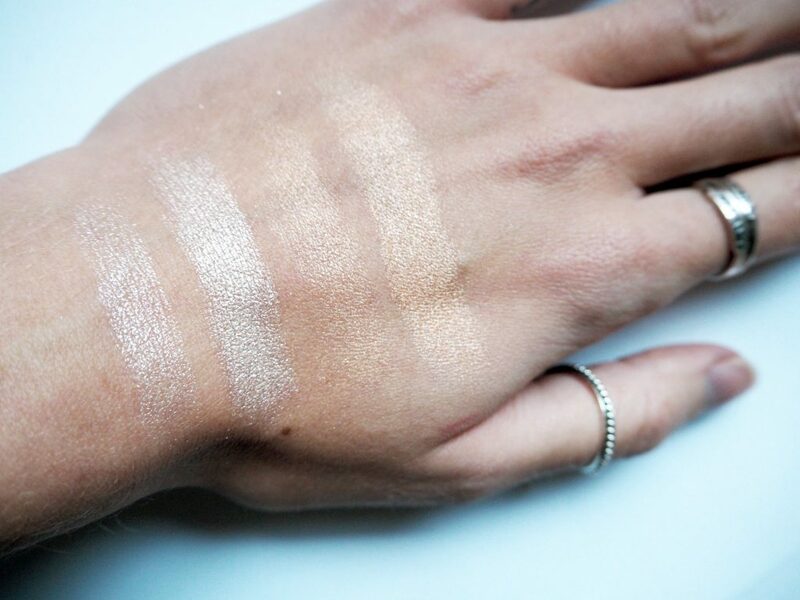 As you can see in the swatches, Hourglass Beige does have a more silvery hue in the light, whereas champagne pop is more of a warm golden colour. 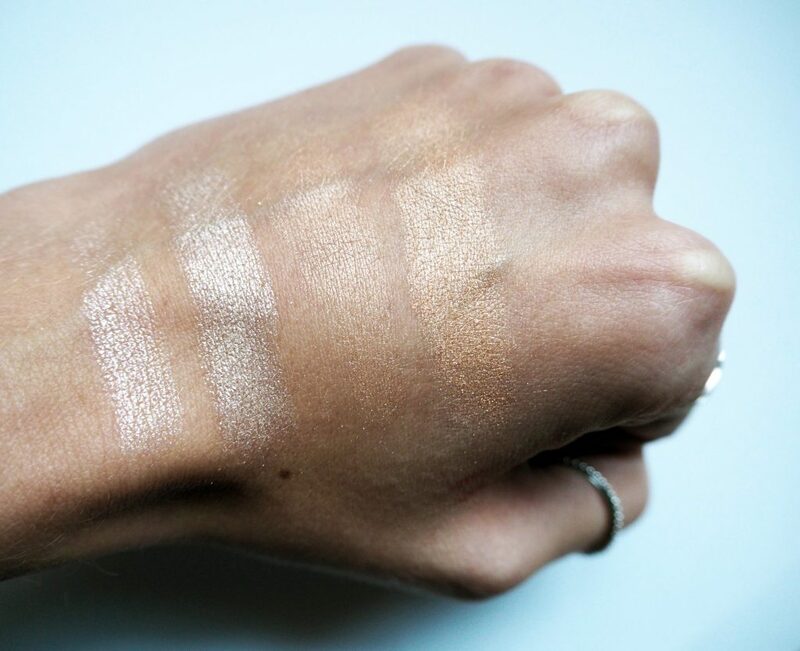 Hourglass Beige is a more intense colour, although it is intended as eyeshadow so is perfect for that. I can also say that the L’Oreal shadow did pass the waterproof test as the two swatches of this remained on my hand post-shower – faded but most definitely still present. The verdict? Hourglass Beige is a pretty good dupe, I would say maybe 6/10. 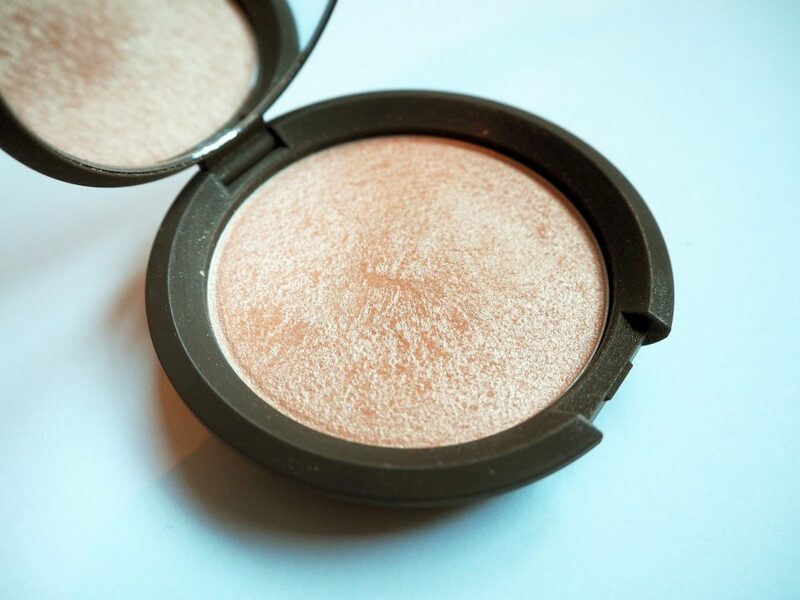 The shimmer just isn’t the same and the colour doesn’t quite live up to the perfection that is Champagne Pop. However, for less than £3 it is more than definitely worth the money, and if you want to save your high-end highlighters for special occasions, I would recommend trying this for a day-to-day highlight. 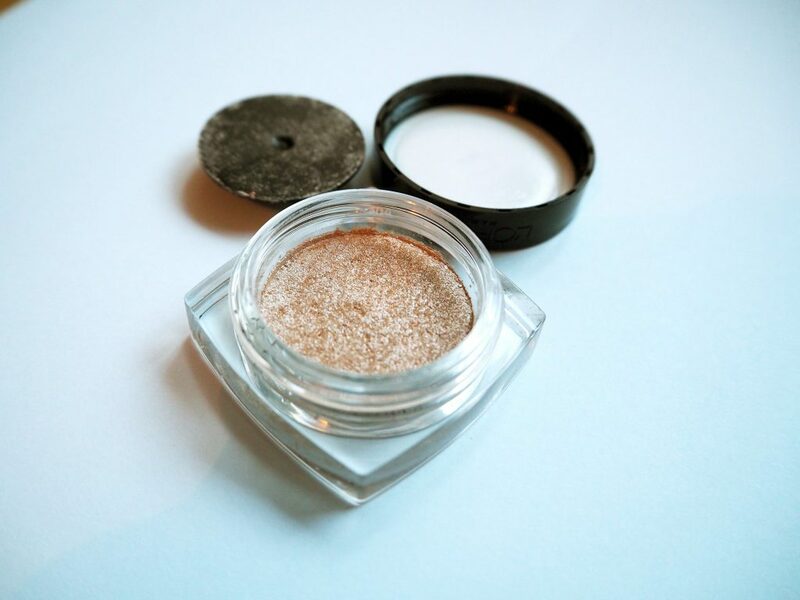 It is also perfect for highlighting the inner corners of your eyes and I’m sure I will use it as an eyeshadow too. 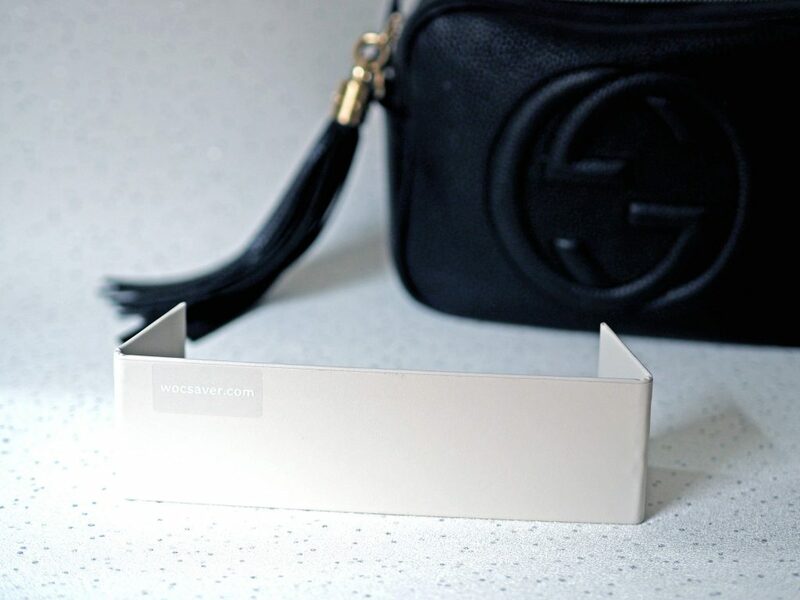 Do you have any awesome dupes in your make-up bag? 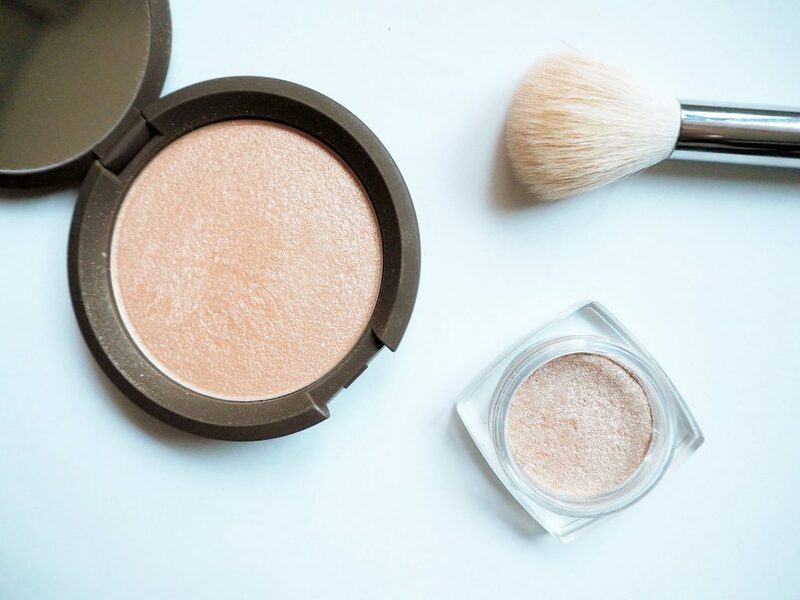 What do you think of Champagne Pop?